A serene misty in the Kalimpong sub division of Darjeeling district. “Lava” is a Bhutenese word “La” means “ the lord” and “Va” means the presence .People believe that the flora and fauna of this region is the blessings of god.Till 1700A.D. the area was part of lepchas kingdom and was subsequently conquered by the Bhutanese situated at an altitude of 2100 metre lava presents landscape comprising the natural broad level forests dominated by the gigantic oaks with patches of coniferous forests, rich fauna comprising a diverse variety of birds, wild cats, wild boars, Himalayan black deers, deer etc. Hotel Orchid Lava is run by family members and friendly staffs. Hotel Orchid Lava is in the village at 2184 metres above sea level with a pleasant atmosphere surrounded with pine, juniper trees and dense forests. 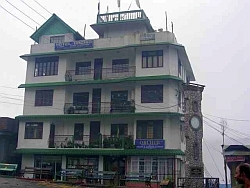 It is 5 storeyed building having 14 rooms with good view of Neora valley, Nathula range from all the rooms. 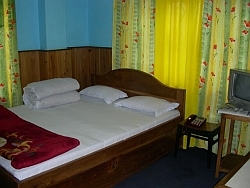 Hotel has an in-house restaurant with Indian and Chinese foods.All the rooms are two beded and dormitory is 7 beded with all the facilities like Tv, water heater, intercom, attached bathroom and also accept credit card like visa, mastercard etc.